The Russian Foreign Ministry has ruled to expel 23 British diplomats, declaring them personae non gratae. This comes amid a deterioration in UK-Russia relations after the poisoning of ex-Russian spy Sergei Skripal. Sputnik discussed the investigation with William Dunkerley, a senior fellow at American University in Moscow. Sputnik: British media has recently reported that UK intelligence suspect that the nerve agent that poisoned the former Russian spy Sergei Skripal was planted in his daughters suitcase while still in Moscow; or that it was used to saturate Yulia Skripal's belongings; or a gift that was opened in their Salisbury home. That was a report by the Telegraph, which cited intelligence sources. How likely do you think that kind of scenario is? William Dunkerley*: It sounds like a very interesting spy drama narrative but there's been no facts to support the claim. 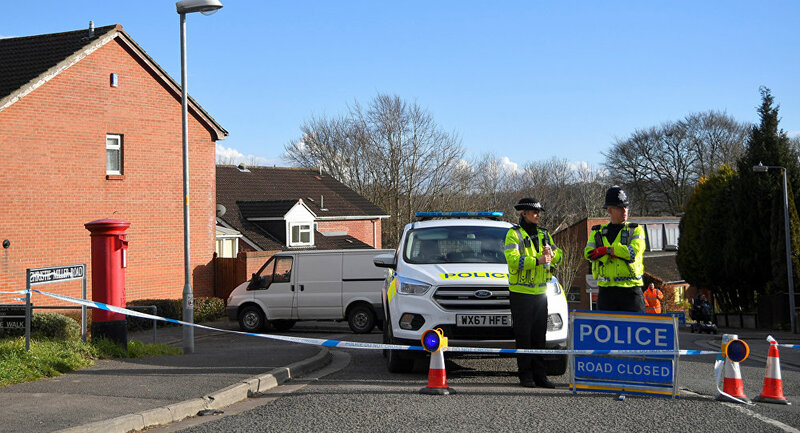 There are a lot of stories floating around about what happened to Skripal, none of them seem to have any factual bases that have been made public. Another one that I heard was that Skripal had inside information on the Steele dossier and people thought there was a risk that he might talk about it and wanted to eliminate him for that reason, but I haven't heard any substantiation for that theory either, so we're hearing a lot of unsubstantiated theories and the one about the suitcase is one of them, in my view. Sputnik: What do you think of the actual nerve agent that was used, which is known as Novichok? What have you heard so far? And what are your thoughts about possible origins of this agent? William Dunkerley: It sounds like the same old story again that was put forth about the polonium and Litvinenko's case, where people said it was from Russia and it could be traced back to a specific place, although there were subsequent expert testimonies that that was in fact not even possible. I saw recently a 1998 New York Times story that said the United States was cooperating with Uzbekistan in closing down the plant that had manufactured the substance and destroying the stockpile, so if you look at the chain of custody of the alleged chemical agent, it looks like the United States may have been one of the last parties to be involved. William Dunkerley: That goes even further to the point that it really is not possible to trace the origin of the poison that was used on Skripal. Sputnik: Do you think that the case of Litvinenko has affected the way the British are dealing with the Skripal case? William Dunkerley: In a lot of ways it's the same pattern. Recently, the foreign minister in Russia said that the cases are entirely different because the British side was putting out the word "here's another assassination by Putin on British territory." Certainly there are differences between the two cases, but there's one thing that is almost exactly the same: it is that both cases are based on hearsay information and lack factual bases. In that regard they're the same. Sputnik: But in the case of Litvinenko there's a huge study, it was one of the most thorough investigations that was conducted by the British, Sir Robert Owen was in charge of that, although he came to the conclusion that there was sufficient evidence heard in open court to build a strong circumstantial case against the Russian state. Do you see any parallels between the two cases? Many people criticized Britain for giving an inadequate response to the Litvinenko case, do you think that they're compensating for that now? William Dunkerley: The Litvinenko case, as far as the public description of what happened, was a hoax in my view. There was no factual basis, the coroner's inquest didn't start until around five years after his death and before the inquest opened, the British prosecutor Ken Macdonald had said that he had grave suspicions there was Russian state involvement, grave suspicions is a long way from having a case, so I don't think that anything that transpired with Robert Owen's inquest or inquiry has any legitimacy. He was definitely on a witch hunt looking for Russian state involvement. I was involved with an effort to get that witch hunt called off and had probably 50 interactions between me and the chancellor's office Chris Grayling and then Home Secretary Theresa May, and ultimately got them to come along with the view that I had taken about the case; that Owen was conducting a witch hunt that he wasn't authorized to do. Theresa May reprimanded Owen for that in the end and subsequently Owen agreed to remove the search for Russian culpability from the scope of his inquest. That happened at the end of 2013. *Mr. Dunkerley is recognized internationally for his research and publications about the 2006 Alexander Litvinenko polonium poisoning.